Dennis has over 20 years of litigation experience. 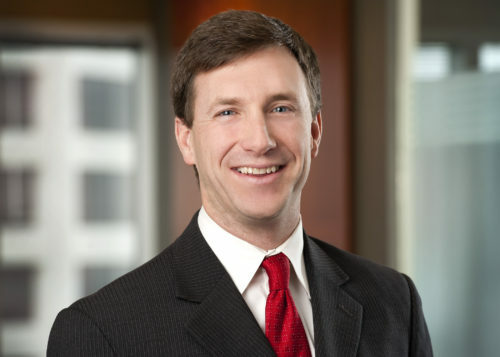 His practice at Carlson Caspers emphasizes intellectual property litigation and dispute resolution, with a particular focus on patent and trade secret litigation. Early in his career, Dennis utilized his electrical engineering and computer science background to assist in creating and developing patent portfolios for his clients. He also was part of several litigation teams, one of which was instrumental in protecting a client’s rights in a reverse confusion trademark action against the NBA associated with the NBA’s use of DREAM TEAM. Dennis also clerked with the Honorable Frank Magill of the U.S. Court of Appeals for the Eighth Circuit, which only served to further whet Dennis’s appetite for litigation. Dennis has primarily focused on litigation and litigation-related counseling ever since. Although his technological background has an emphasis on electrical engineering and computer science, Dennis has handled intellectual property matters for clients in a wide array of fields, including magnetics, semiconductors, telecommunications, aerospace, pharmaceuticals, mechanical engineering, agriculture, and automotive technology. In addition to conducting all phases of intellectual property litigation, Dennis has prepared infringement and validity opinions, and negotiated licensing agreements. Based on his professional achievements and peer recognition, Dennis has been repeatedly selected to the list of Minnesota Super Lawyers in the field of intellectual property. Spectralytics, Inc. v. Cordis Corporation and Norman Noble, Inc.